practical rather than theoretical « Hercules and the umpire. 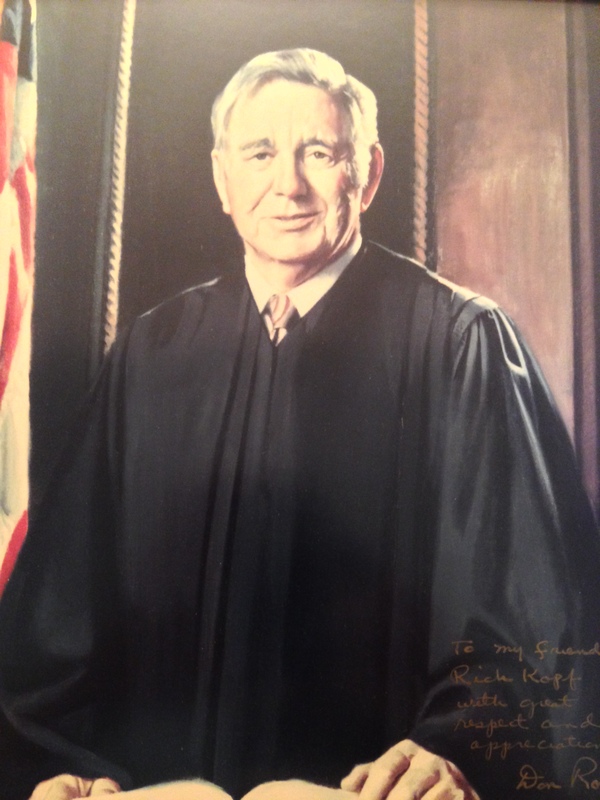 In 1972, I graduated law school and began to serve as a law clerk to the Honorable Donald Roe Ross, a judge on the United States Court of Appeals for the Eighth Circuit. The judge became my mentor, and, later, my dear friend. Judge Ross died yesterday. He was 91 years of age. I have previously written about the judge and his heroism during the Second World War. I will have far more to say in later posts about that valor and Don’s life as a lawyer and a judge. 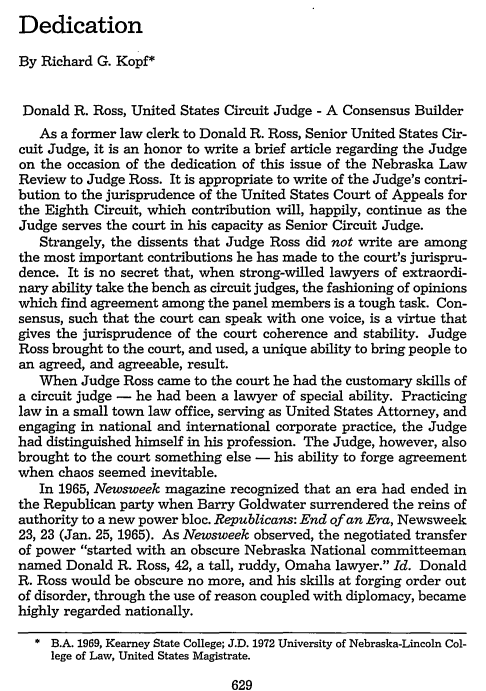 When Don Ross personally negotiated the remaking of the Republican party after the Barry Goldwater debacle, he displayed the touchstone of all great American leaders and that was a spirit of, and deeply felt belief in, the practical* rather than the theoretical. Back then, being a loyal and highly respected Republican (and, later, a great judge) did not mean that you were an obsessive and compulsive ideologue. Oh, how I wish that were so now. *See, e.g., Alexis De Tocqueville, Democracy In America, Book 1, Chapter 10 (1835) (“Why The Americans Are More Addicted To Practical Than To Theoretical Science”). PS For those who knew the judge and wonder about arrangements, the Omaha World-Herald recognizes today, on the obituary page, Don’s passing. Additionally, a “complete notice [will be provided] later,” according to the John A. Gentleman Mortuaries.